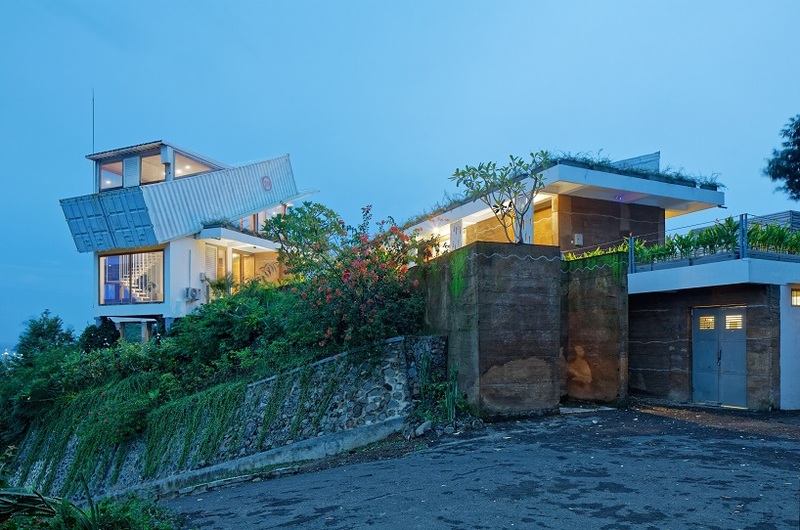 budi pradono architects is a research based architectural studio with interdisciplinary practice focus on contemporary lifestyle, hospitality and urban design, through an inclusive and rigorous methodology of research, expansive collaboration and experimentation. 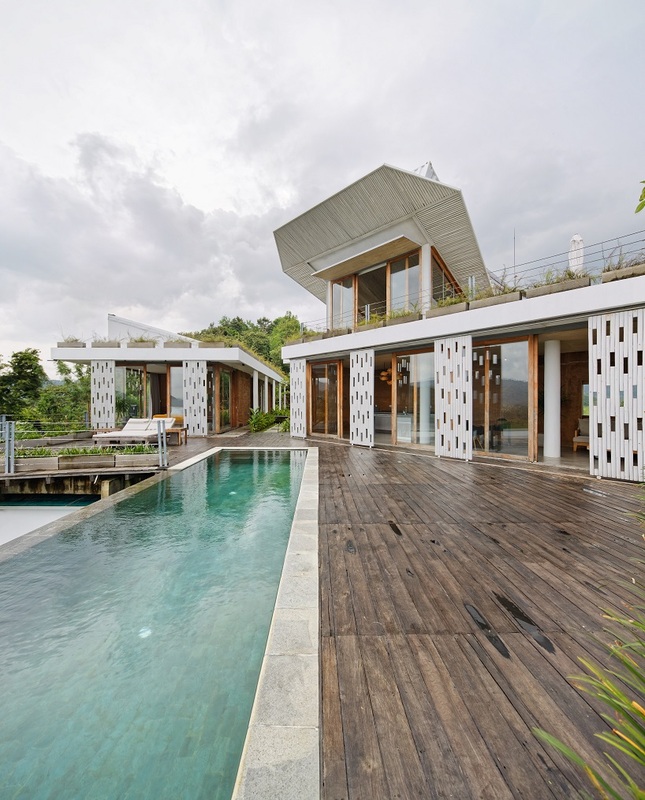 the firm is led by architect and founder budi pradono. 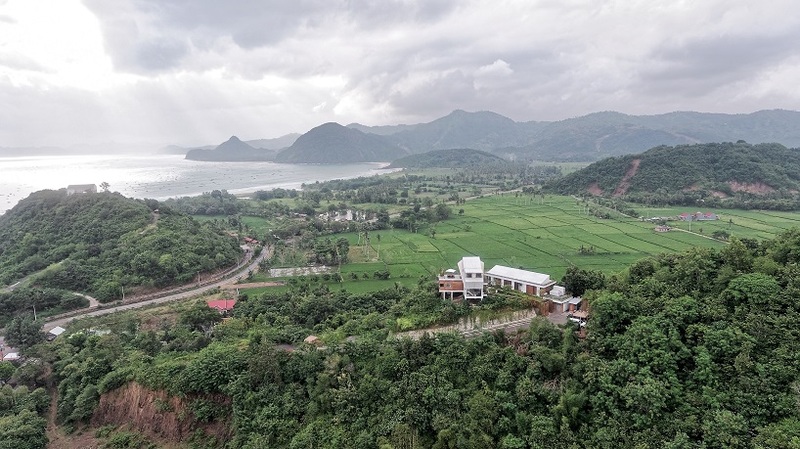 located on the indonesian island of lombok, the ‘clay house’ is the latest residential project developed by budi pradono architects (BPA). sitting on a hill, one can see the paddy fields and the vast expanse of land and sea that characterize the region. 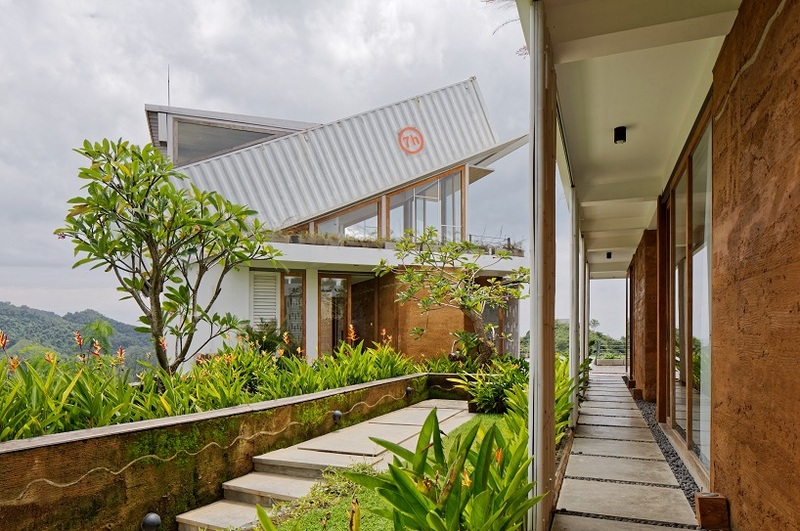 when given the task to design this house, the most fundamental question for budi pradono architects was how to recognize or know the specific character of the place. with that in mind, the first thing was to create a mass composition where the pool is used as the core for organizing the quality of public and private spaces. 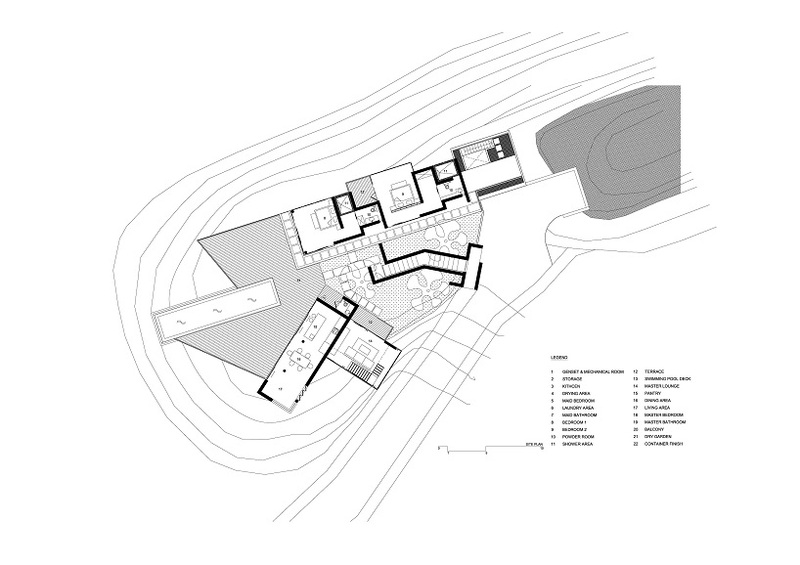 observations in this location also determines the extent of the house to be constructed; by simply building as little as possible, it automatically becomes an approach to green architecture. ultimately, an understanding of the contours, trees and surrounding land will determine the character of this building. ‘in the presence of this location on the hill of course we have to be careful because this building will automatically become an icon of the surrounding environment’, explains the designers. 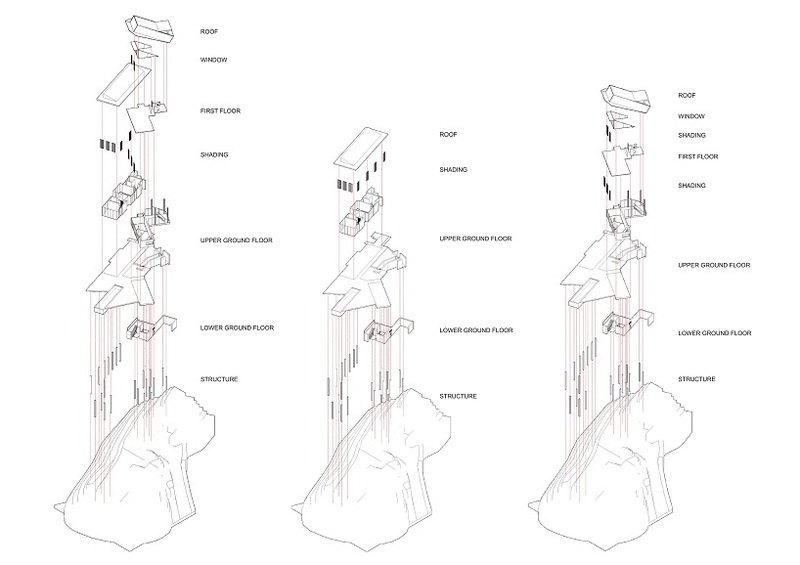 hence, the iconography would be made with full awareness through a maximum use of local materials. on the other hand, weak architecture is also adopted — manifested through the use of local materials with a special processing. 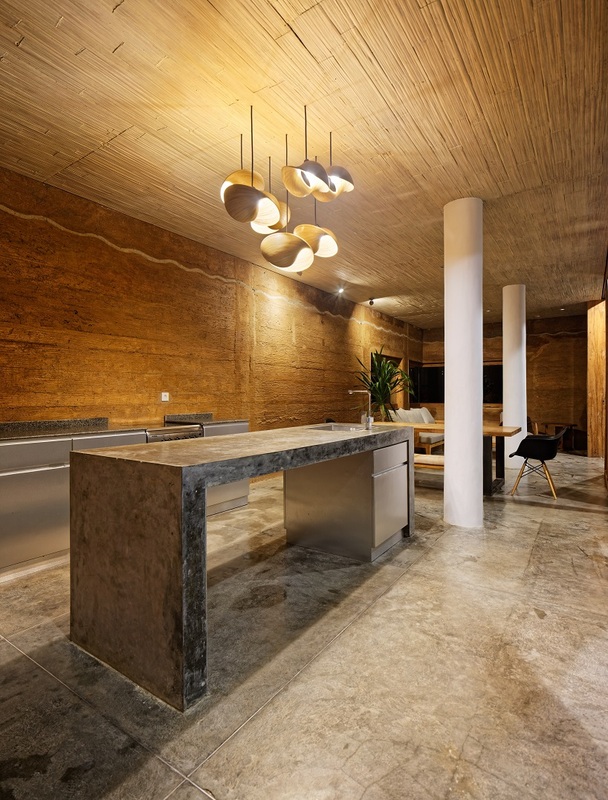 for example, clay is used as a main wall material and bamboo is integrated into the framework — obtained from the surrounding areas but used as a preservation method. as mentioned, organization of space and mass composition is carefully planned by placing a swimming pool as a reference point to the left and right as well as the outside. on the left, the public area is set and consists of a lounge, dining and pantry. 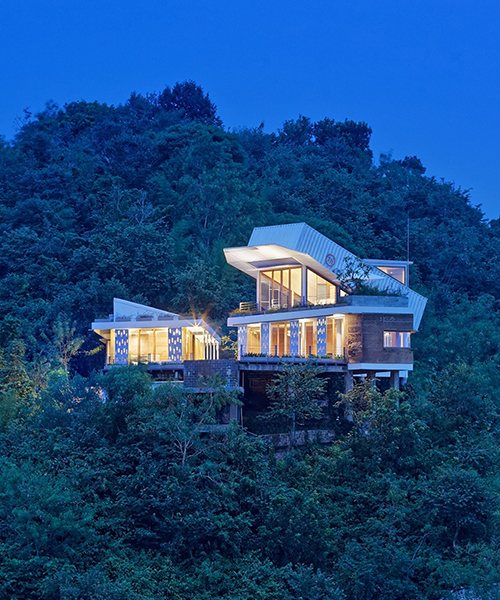 above, the master bedroom can be found — at the most strategic place to see the whole of the surrounding scenery. 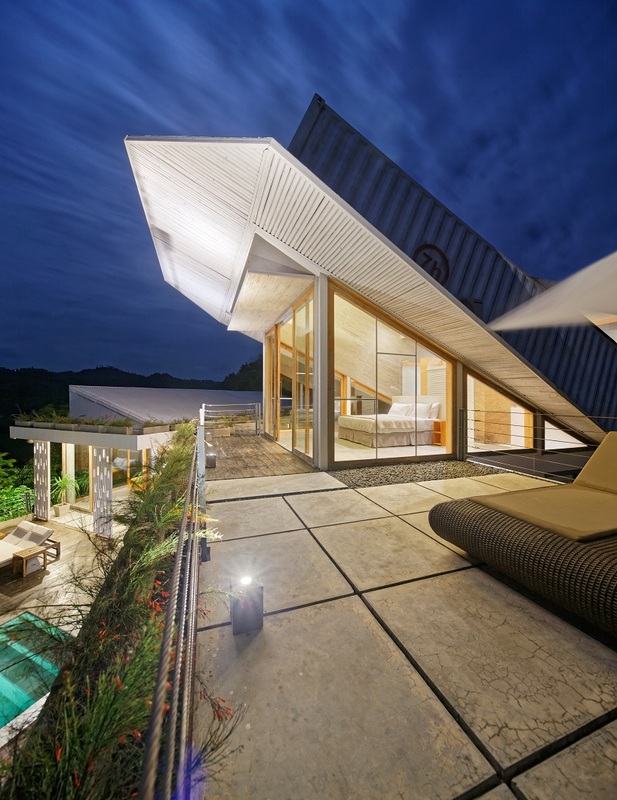 on the right side of the pool, another bedroom was added to get a great view of the natural landscape. meanwhile, a second bedroom right behind it has a private terrace and a sea view to peek underneath the rice fields. one of the most important and fundamental aspects of the design is the procession into this site after the run from the bottom to the top. after the client parks their car, they could walk down the hall and get a peak at the natural beauty of the sea and swimming pool. 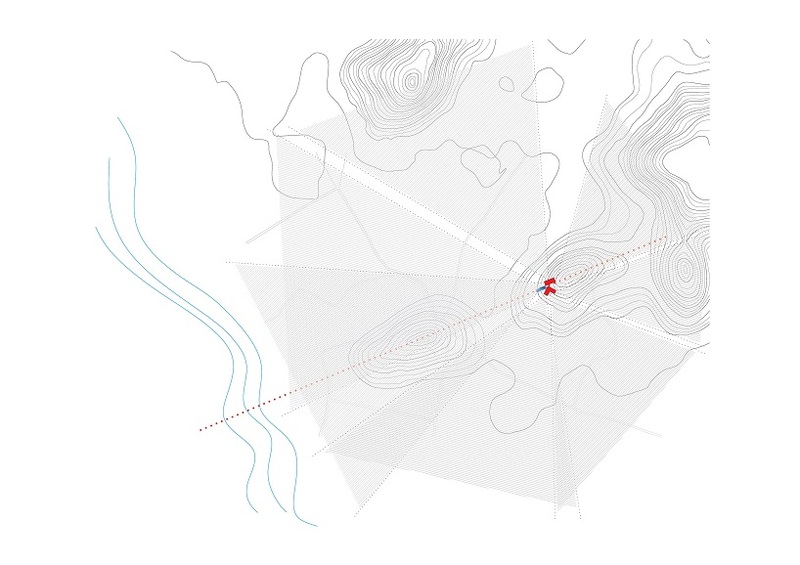 ‘this process is used as a spatial experience for anyone coming to the place,’ concludes the architects. approximately 20 km from the site, the clayey soil has been collected by craftsmen to create the wall frame of the house – hence the name. the clay was treated with a mixture of sand, cement, straw and cow dung or buffalo dung, which are numerous in that location. this method applies the concept of sustainable architecture, which uses locally-available materials. straw and cow dung will be a strong binder for the clay . finally, using this material as a wall coverage, heat will be reduce to more than 50 percent.